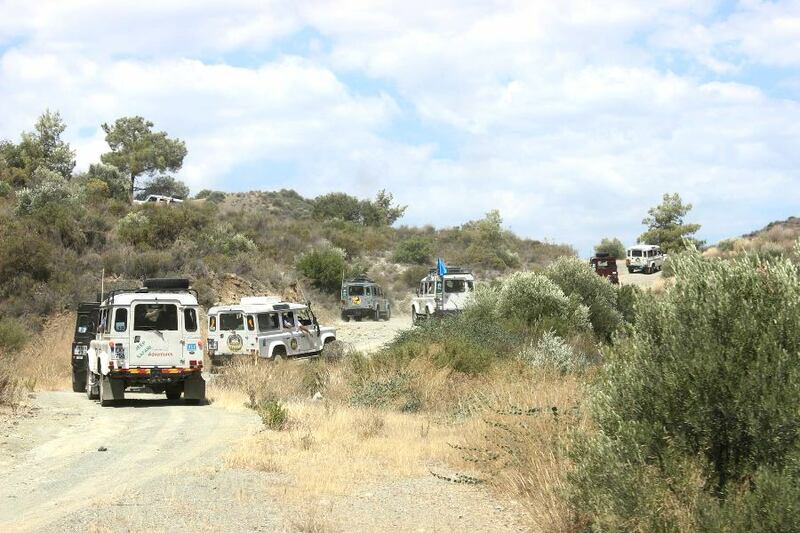 The most fun way to see Cyprus is on a Jeep Safari! Jeep safari's are a great way to really get to know somewhere and are much more fun than traditional sightseeing tours by coach. Travel in a small group with your knowledgeable driver who will be your guide on a journey of discovery. 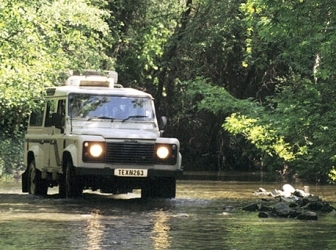 Take small hidden tracks, go off road and visit little known places which will leave you with lasting memories. 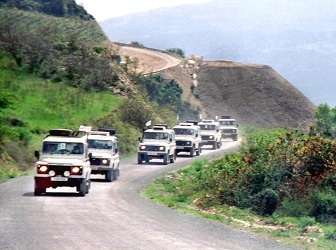 We have a range of Jeep Safari's taking in all the best bits of the island. All are on fully licensed and insured vehicles with a professional and knowledgeable driver. Choose what journey interests you the most and get ready to experience the best day of your holiday. 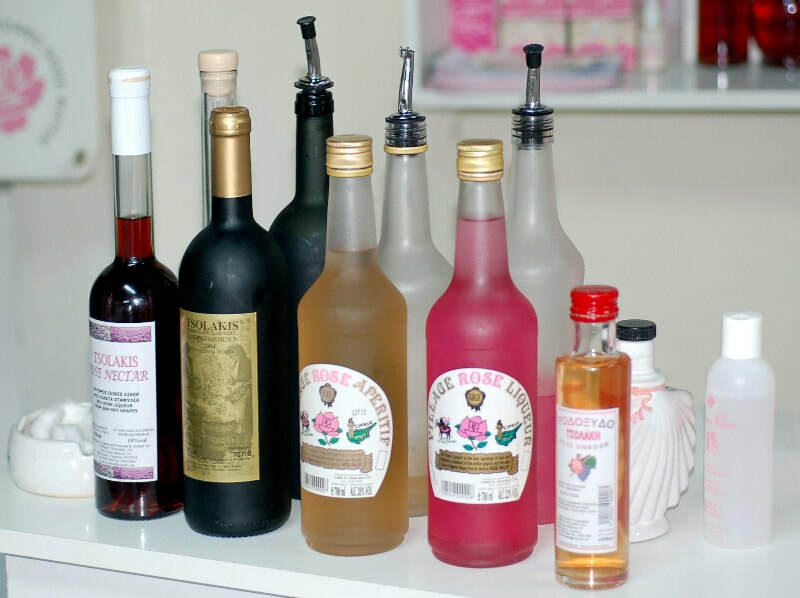 These tours are very popular so please book your tickets in advance to guarantee your places. 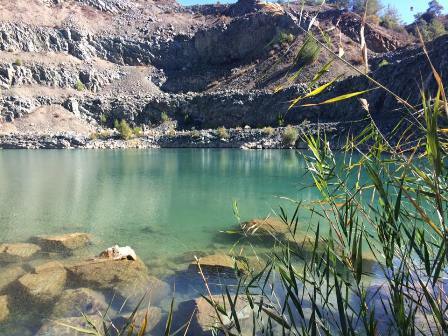 Journey by jeep to the heart of Cyprus and take a breath of fresh mountain air in the Troodos mountains. Explore hidden villages, view stunning scenery, discover waterfalls and tiny ancient UNESCO churches. 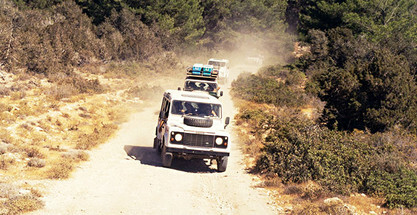 Go off road and experience the sights and sounds of the more traditional side of Cyprus away from the tourist resorts. 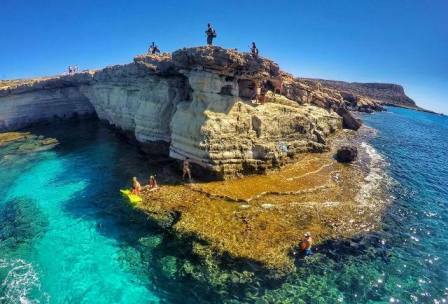 A half day off road adventure taking in the Ayia Napa sea caves, Cape Greko natural park and the stunning Konnos Bay. A perfect way to experience local landmarks such as the Love Bridge, Cyclops Cave, Ayioi Anargyroi church and the Palaces caves. A truly memorable journey of discovery. 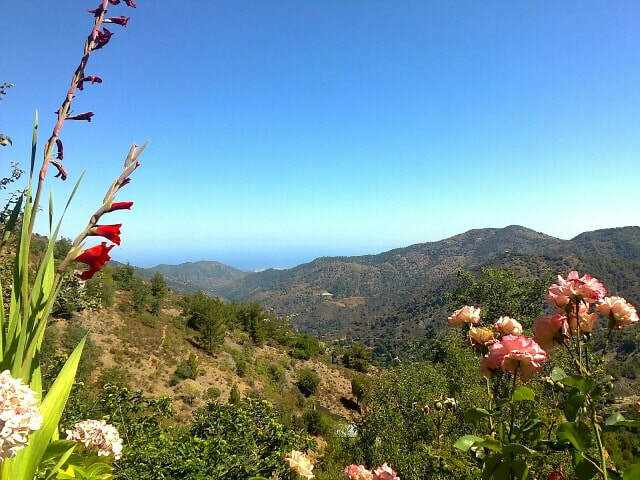 A full day tour into the spectacular Troodos mountains where the landscapes and scenery are mind blowingly beautiful. Experience the colours of autumn, the magical snowy winters or the blooming flowers of spring. This trip takes in Machairas Monastery, and the villages of Lefkara, Vavatsinias and Lithrodontas as well as sights and experiences you'll treasure. 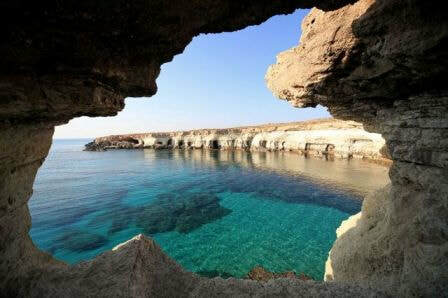 The Akamas peninsula is one of the most unspoilt and beautiful places in Cyprus. Endless dramatic coastline drops into crystal clear seas dotted with tiny sandy coves where turtles breed. 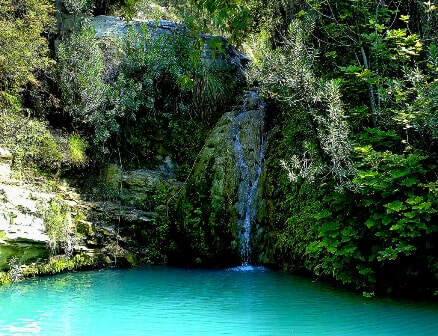 Fragrant pine forests hide stunning natural wonders, gorges, waterfalls and hidden pools. ​Spend a full day discovering, exploring and creating amazing memories on this adventure. 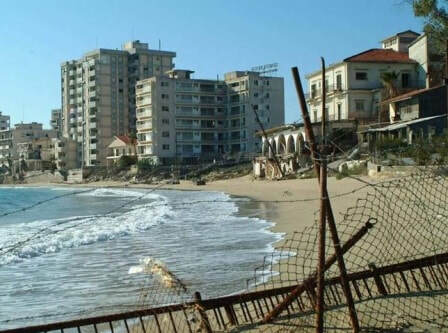 Discover the story of the abandoned ghost town of Famagusta. ​Visit the Famagusta cultural centre in Dherynia before crossing the border to view this once glamorous city with it's deserted hotels and famous beach. The tour then circles the gothic city walls before venturing inside to the old town. Explore the churches and cathedrals within the ancient city. Experience breathtaking views as you journey to a secret location to visit the very private and enchanted lagoon. Enjoy a magical swim before stepping back into centuries gone by while you explore an ancient mountain village. Also included is a stop at the popular village of Lefkara. 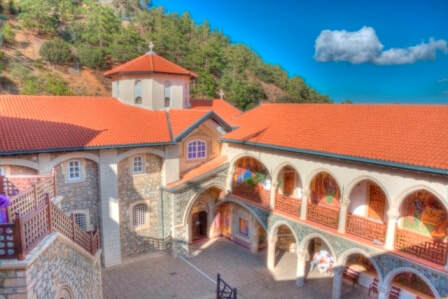 Travel by jeep to the famous and wealthy Kykkos Monastery, high in the Troodos mountains. Journey through stunning landscapes of the peaks dotted with tiny villages before spending time at the historic holy site. 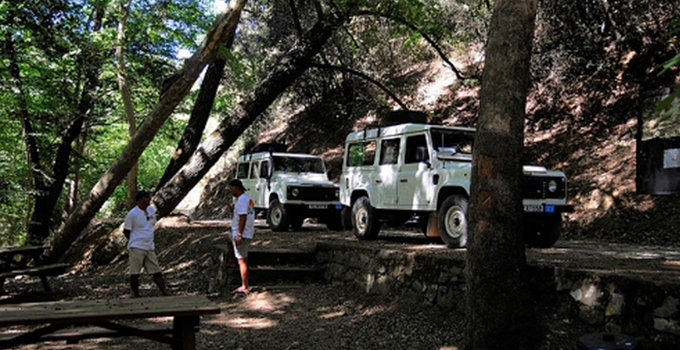 ​Travel through Pafos forest and visit a UNESCO world heritage site. Taste the real flavours of Cyprus on this food and winery tour by jeep. Visit picturesque mountain villages, try handcrafted artisan food products and enjoy a splendid full meze lunch. Visit a UNESCO church and the popular village of Lefkara.